Welcome to The Law Office of Stephen M. Dodd, the most qualified and compassionate attorney in Massachusetts. We are thrilled you've stopped by and we anxiously look forward to assisting with your legal needs. Initial consultations are complimentary, so please call today. Please come back to this page soon to see some of the kind words of praise Mr. Dodd has received from a few of his clients. In the meantime, if you would like to send a short note of thanks for the hard work he put in, and the success he achieved, on your case, please send us an e-mail. Please check back to this space in the coming weeks, as Mr. Dodd will use it to promote his new blog about goings-on in the local and national legal community. In the meantime, if there is a topic about which you would like to read Mr. Dodd's opinions, please send an e-mail to the office. We thank you greatly for visiting our website! Norwell attorney Stephen Dodd is not only a dedicated legal professional, but is also associated with other firms and other dedicated legal professionals who are very well-versed in many specialized areas. By associating with other legal professionals and firms, there is no need to hire a multitude of lawyers. Mr. Dodd can advocate for you in many areas of law, giving you the expertise needed as well as the personal contact most clients want. This gives Mr. Dodd an edge when dealing with complex legal matters. Often, more than one area of expertise is required. 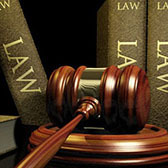 We can provide you with comprehensive legal support in many areas. © 2010 - 2019. The Law Office Of Stephen M. Dodd. All Rights Reserved. No portion of this website may be reproduced without written consent. Nothing herein constitutes an attorney-client relationship and we are therefore not offering any legal advice. The information contained herein applies the general principles of Massachusetts law. The law in your state may differ. Our firm specializes in Criminal Defense, OUI, Divorce, Family Law, Real Estate, Bankruptcy, Probate, and Civil Litigation. We also specialize in Personal Injury matters such as Medical Malpractice, Auto Accidents, Slip & Falls, and Dog Bites. Design and hosting by G.O.A.L. Web Design, LLC.